Fortunately, there’s a way around this. All you have to do is make a list of your three top competitors and then find each and every backlink pointing to their website. Mix this list of backlinks with a list of your competitors top keywords, and you’ll have a good idea of where to start your link building efforts. This leads to the million dollar question: what is the best way to find your competitor’s backlinks? Do links still matter in SEO? Ask yourself, why does Google have the Penguin algorithm, and why do they assess manual link penalties?” The answer is simple: Because links ARE a major ranking factor, and schemes to obtain links that don’t fit their guidelines are things that they want to proactively address. With that being said, Google and other search engines still use backlinks, and they are likely to remain a powerful ranking signal for the future. Tip: open your competitor’s website in a separate window and copy the URL into the search box. This will help eliminate the potential for a typo. It’s here that you will find the “Referring page Title / Referring page URL” of every backlink pointing to the website. You can export this list to .csv for ease of use and to consolidate the results for all of your competitors. Once your .csv file is complete, it’s time to sort the results. You can do this however you best see fit, just make sure it gives you a clear idea of where to start your link building efforts. Depending on your niche and competitors, there may be thousands upon thousands of backlinks to comb through. This is why you should sort them based on the strategy you wish to employ. When it comes to finding new link opportunities, competitor research is one of the first things you should do. With a large list of sites in front of you, it’s time to visit each one to learn more about the linking opportunity. Text links are likely to be the most common, but you shouldn’t overlook other opportunities. There are many ways to reach out to publishers to develop a relationship. From cold emailing to social media, consider all your options. The number #1 way to get links is to build relationships. Reach out and say hello. That might just be enough to get a link. Could you contribute a guest post, complete with a link to your site? Contact the webmaster and suggest that they include a link to your site on a particular page? Link out. Don’t be a link hoarder. Share the love by linking to gain favor. Create infographics. While this has been oversaturated there is still an opportunity if your content is worth embedding. Create quality content. This doesn’t invoice any outreach at all. Answer questions on forums and provide links to relevant resources. 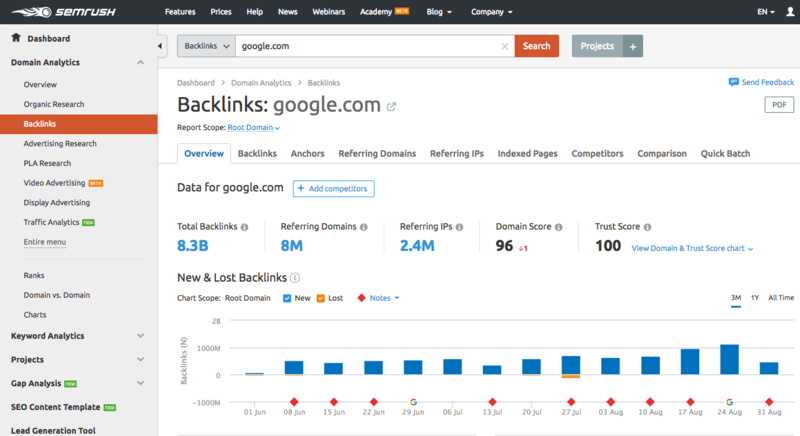 There are a lot of backlink research tools. Listed below are my top 5 analysis tools for researching backlink profiles for my clients. If you want to build more links to your website – and you should – don’t hesitate to use the info below to find your competitor’s backlinks. Once you know what your competitors are doing, you can formulate a strategy for passing them by on your way to the top of the search engine rankings. Thank you for sharing. 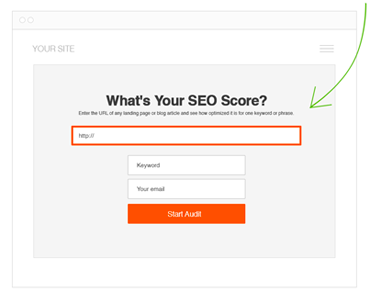 SEMRUSH is a great tool to analyze your backlinks profile as well as your competitor’s backlinks. Great article Charlie, thanks for the share. Do you strictly use Semrush for competitor backlinks or do you have other alternatives? There are other tools like Moz, Ahrefs etc etc. But we find SEMRush works the best and also it’s affordable for most people. Thanks for the recommendation Charlie, will definitely check it out and compare them. Nice post… I will try this strategy and see how it will work and help grow my new blog. This is actually good but how can I build a backlink without spending. Hey Sammy, At some level you will either have to spend money or time to build backlinks. It depends on which one you have more of at the moment. What type of site do you have? good post. a href’s vs sem rush which one will give accurate data according to your personal point of you. i am planning to go for a href’s. will it be ok SEMrish for small forms. The are both great SEO tools! At the end it comes down to personal preference and your budget. Yeah both are great SEO tools. I might try Ahrefs again in the future. At some level you will have to spend either financially or with your time. The ideal way is to write content that people want to naturally link back to. All of the tools are good but I really love SEMrush especially if its pro account. Thank you so much for sharing this post Charlie, I am totally new to the whole concept of SEO and posts such as these offer a fantastic guide for newbies like me!